The composition of the flour is healthy and balanced. 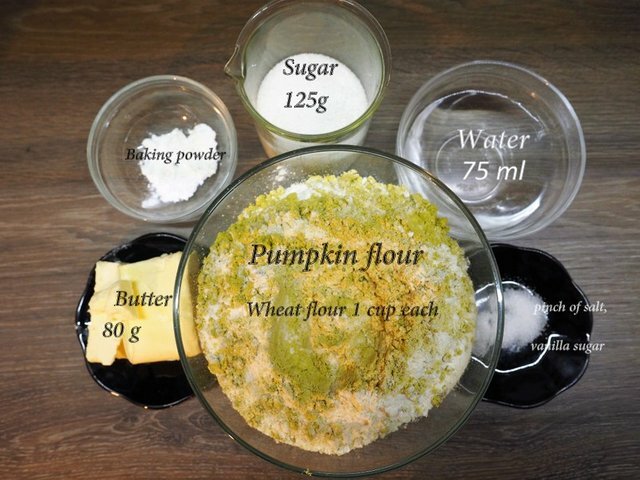 Pumpkin flour has a unique vitamin-mineral composition, through which it has a preventive effect. 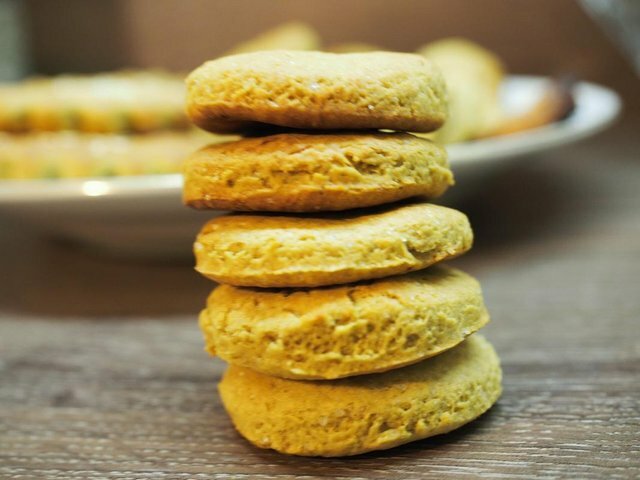 You need only 100 grams of pumpkin flour per day - this is what your body gets useful vitamins and micro-elements. 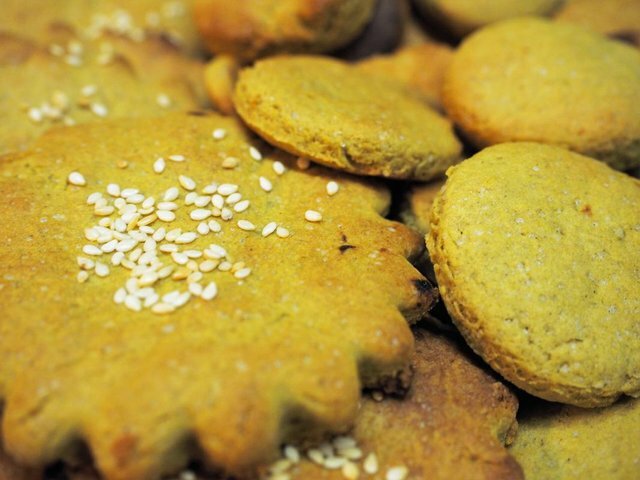 Pumpkin flour is successfully used in cooking. The distinctive taste of pumpkin seeds is beautiful in sauces, gravies, as an additive to soups and salads. 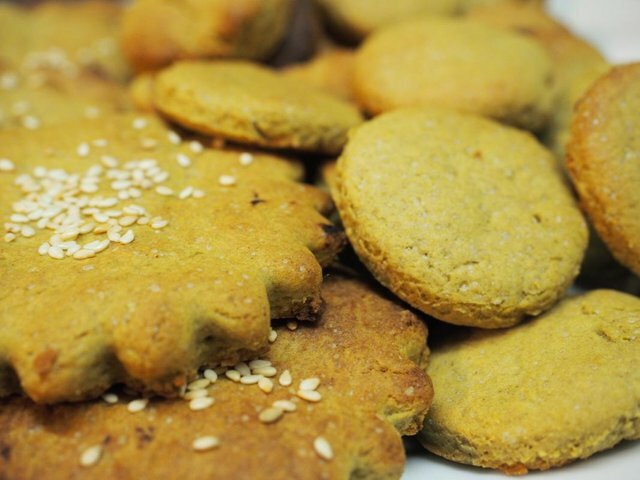 Pumpkin flour is added to pastries by mixing it with wheat flour. Butter with sugar and grind. I combined pumpkin flour and wheat flour and all the dry ingredients. Added water and mixed with oil. Like this ! The ready dough we roll, using food wrap. Cake ~ 0.7 cm thick Cut out cookies, of any shape. I added a little sesame, sprinkled on top. It is very convenient to use baking paper, not grease with oil and not sprinkle with flour. Bake in a hot oven, 10-12 minutes. You know well the capabilities of your oven. The main thing is not to overdo it! 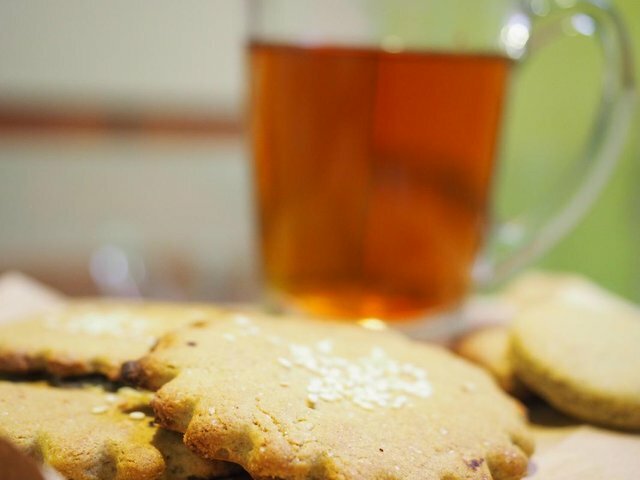 Hi, I just wanted to pop by and say that this delicious looking recipe had been shared on the Homsteaders - Living Naturally, Newsletter. And you read the title of my post? 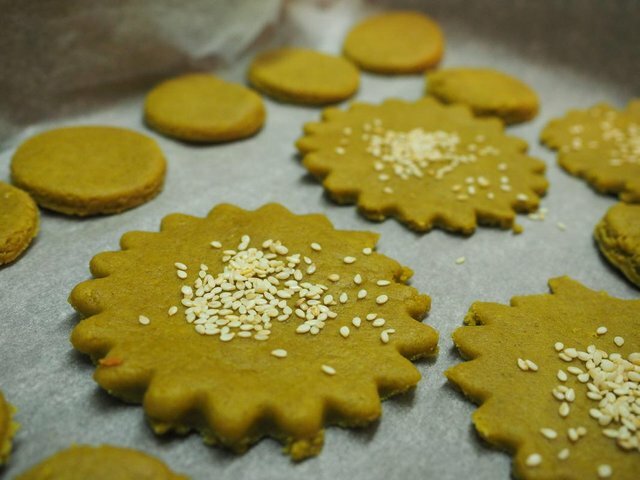 Did you make pumpkin flour cookies too? Did you like it? I like adding sesame seeds .. But I do not like cinnamon. The other time I made cornmeal ... very crumbly it turns out .. I haven't tried it yet, but have lots of almond meal and wonder if that would work in place of the pumpkin flour. Now I just need to find the time to make some! 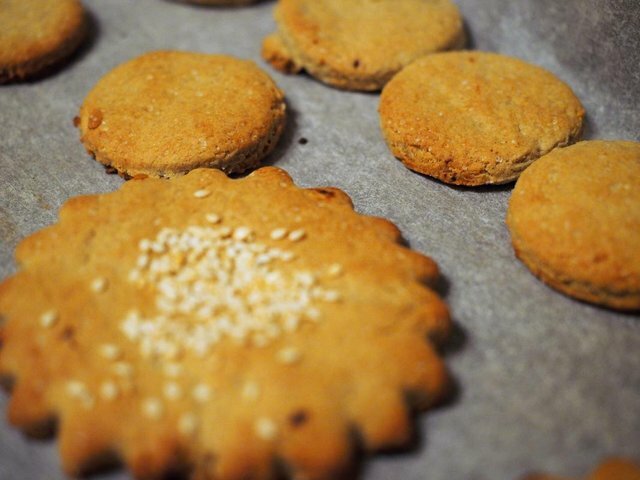 I love sesame seeds too, so I like the idea that you added them on top. I like to find a recipe to add to the newsletter and I loved that this was a bit different. When it said pumpkin in the title, I actually thought it would be pumpkin flesh, which intrigued me. Pumpkin seed flour was just as interesting, however.